The Nova Voyager DVR drill press from Teknatool International offers a beefy base with a sophisticated computer controller for precision, power and speed in operation. 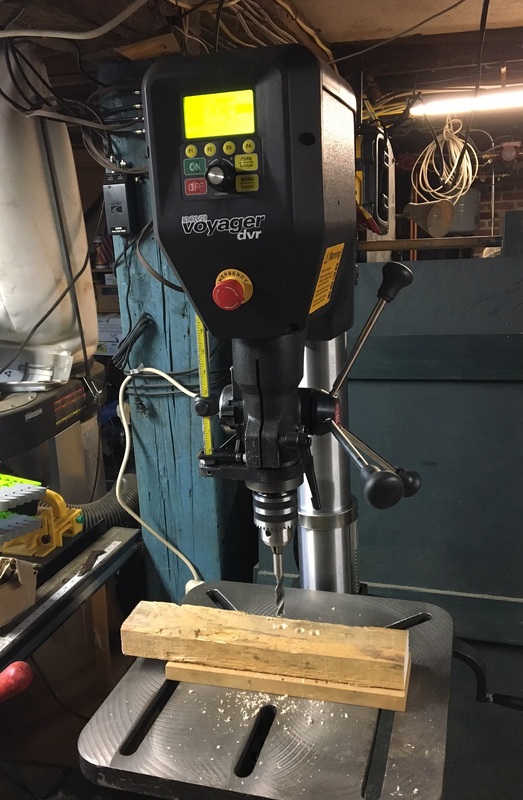 Drill presses are pretty straightforward machines and don’t get as much attention in the typical woodworking business as more sophisticated machines such as table saws, edgebanders, and CNC routers. Maybe that’s because the basic drill press is pretty much the same as it has been for decades. But a New Zealand company known for its lathe chucks has transformed the drill press with modern computer technology. 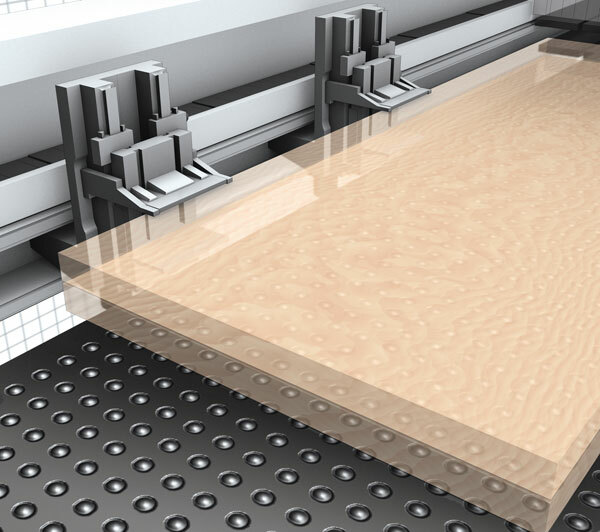 Teknatool International’s new Nova Voyager DVR is not like the drill press you are used to. Even turning it on is different. But the result is precise drilling in whatever material you use with instant speed adjustments based on bit selection and application. Produced by Teknatool International Ltd. of New Zealand, the Nova Voyager DVR is based on a traditional heavy duty, floor-standing drill press that tips the scales at about 300 pounds. The cast iron base and worktable are rock solid, as is the massive steel column that ensures rigid, vibration-free drilling. There’s a big 5/8-inch drill chuck powered by a 1.75 hp direct drive motor, and the quill offers a full 6 inches of travel. Sitting on top of the column is where real changes start. The metal head unit houses not only the quill, chuck and motor, but also a full computer with a small display screen. When you turn it on, it lights up with a series of safety messages, and then you are ready to drill. Adding the computer makes for precise and instant speed selection from 50-5500 rpm, no more fumbling with belt changes or even cranking up a continuous speed adjustment. You also get automatic speed selection based on preset calculations for material and the kind of bit (size and type) you are using. One of the fussiest things about using a drill press is getting the depth stop set just right to guarantee accuracy. I’ve used all sorts of manual depth stops, and they all seem to be a bit hit or miss. With the computer on this press, you can accurately zero the feed before you start, and the drill actually stops when it hits the exact depth. I confess when I first saw a prototype of this drill press, I thought it was a bit of overkill. But for precise, speedy work with instant changes to match your materials and bits, there is nothing like it. Watch the video below to see it in action or for more information, visit teknatool.com.